Our biggest tree's common name is Mountain-Ash 'Kermandie Queen'. The scientific name is Eucalyptus Regnans. The circumference is 21.65 metres, height is 77.00 metres, and crown is 25.00 metres. 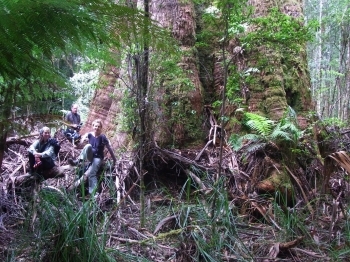 The tree is located in Geeveston Tasmania, on a walking track 4 kms west of Geeveston.